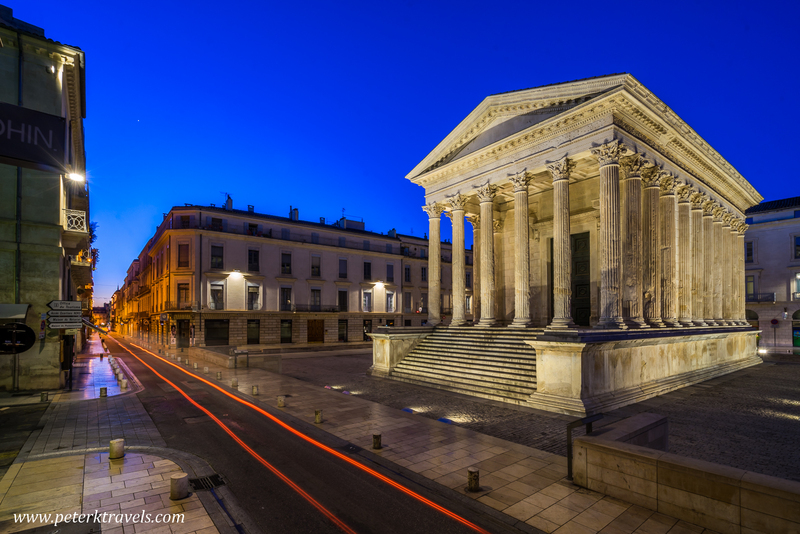 The Maison Carrée is an ancient Roman temple that is located in present day Nimes, France. The temple was completed around 2AD, and is one of the best preserved Roman facades in the former Roman Empire. We spent two nights in Nimes, and were able to visit both the Maison Carrée and the Roman Coliseum there. I took several classes in ancient Greek and Roman history during college, so I was quite excited to visit both these sites. I decided to get up early one morning, and photograph the temple during the blue hour, just before the sun came up. The temple was well lit, and I decided to take a long exposure as a car drove by, leaving a red light trail.